In the past several weeks Astronomy’s Editor, Dave Eicher, and I have gone through the roughly 7,500 books in the magazine’s library. As you might imagine in a field as rapidly changing as astronomy, many of those books, which we began to acquire in the 1980s, are seriously out of date. So, we are downsizing. This idea actually grew out of a process, during the past year, where the staff of the many magazines here at Kalmbach Media consolidated into one-half of our building. The idea, which should generate some nice revenue, is to rent out the other half. But one of the biggest impediments to such a move is the library, sitting, as it does, pretty much in the middle of everything. That’s our 7,500 books plus the 13,000+ books belonging to our various trains titles. But those are someone else’s responsibility. 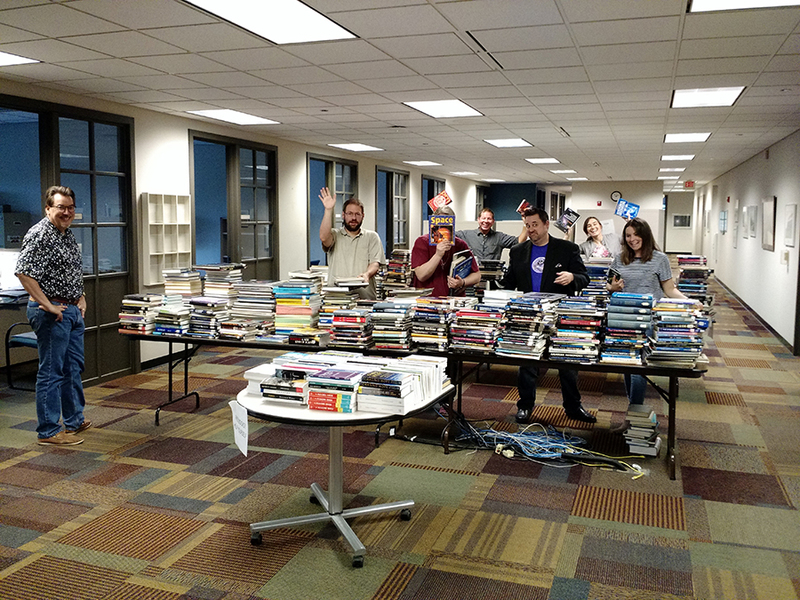 After selecting the astronomy books worthy of keeping, we made the rest available to Kalmbach employees. And, seeing this for the bargain it was, they took a lot more than I thought they would. We still have a great reference library. It’s just a lot sleeker now.